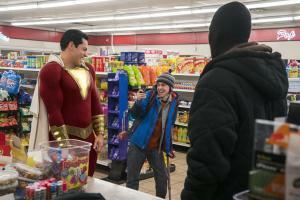 The World's Finest reviews Shazam! 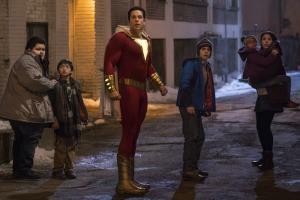 David F. Sandberg (Annabelle: Creation) directs New Line Cinema's Shazam!, the origin story that stars Zachary Levi (TV's Chuck) as the titular DC Super Hero, along with Asher Angel (TV's Andi Mack) as Billy Batson, and Mark Strong (the Kingsman movies) in the role of Super-Villain Dr. Thaddeus Sivana. Peter Safran (Aquaman, The Conjuring and Annabelle films) serves as the film's producer. Shazam! 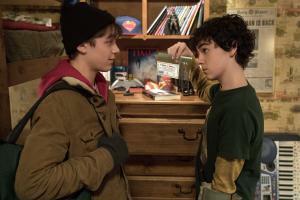 also stars Jack Dylan Grazer (IT) as Billy's best friend and ultimate superhero enthusiast, Freddy, part of the foster family that includes Mary, played by Grace Fulton (Annabelle: Creation); Darla, played by Faithe Herman (TV's This is Us); Eugene, played by Ian Chen (TV's Fresh Off the Boat); and Pedro, played by Jovan Armand (TV's Hawaii Five-O). Cooper Andrews (TV's The Walking Dead) and Marta Milans (TV's Killer Women) play foster parents Victor and Rosa Vasquez, with Oscar nominee Djimon Hounsou (Blood Diamond) as the Wizard. Firmly set in the DC universe but with his own distinctly fun, family-centric tone, the screenplay is by Henry Gayden, story by Gayden and Darren Lemke. Shazam was created by Bill Parker and C.C. Beck. Christopher Godsick, Jeffrey Chernov, Dwayne Johnson, Dany Garcia and Hiram Garcia serve as executive producers. Sandberg's creative team includes his Annabelle: Creation director of photography Maxime Alexandre, production designer Jennifer Spence, editor Michel Aller and costume designer Leah Butler. 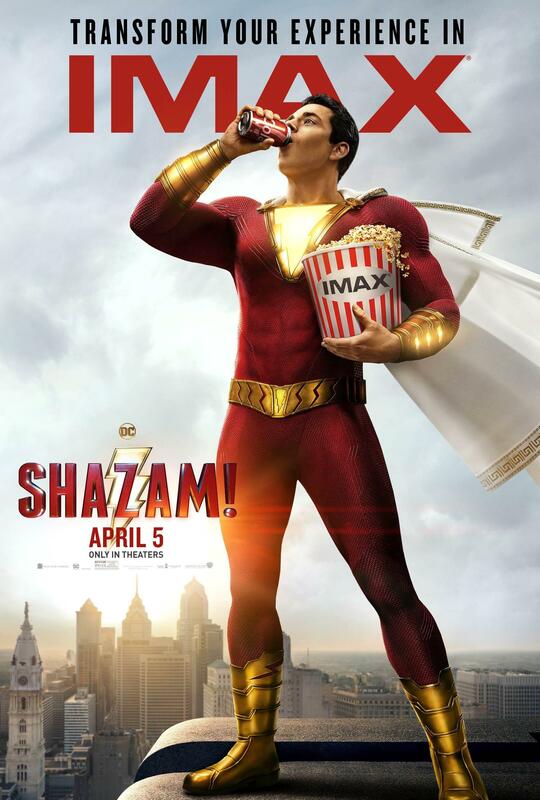 A New Line Cinema production, Shazam! is distributed worldwide by Warner Bros. Pictures, a Warner Bros. Entertainment Company. Deftly walking the fine like between sincere and satire, Shazam! is a joyous and heartfelt adventure that genuinely pays tribute to the source material. 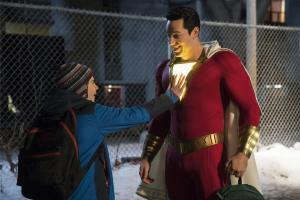 While a superhero movie first and foremost, Shazam! fully embraces it's kid-friendly wish-fulfillment premise, but also sprinkles in plenty of drama and a wee bit of horror that wouldn't be out of place in a 1980s kids flick. 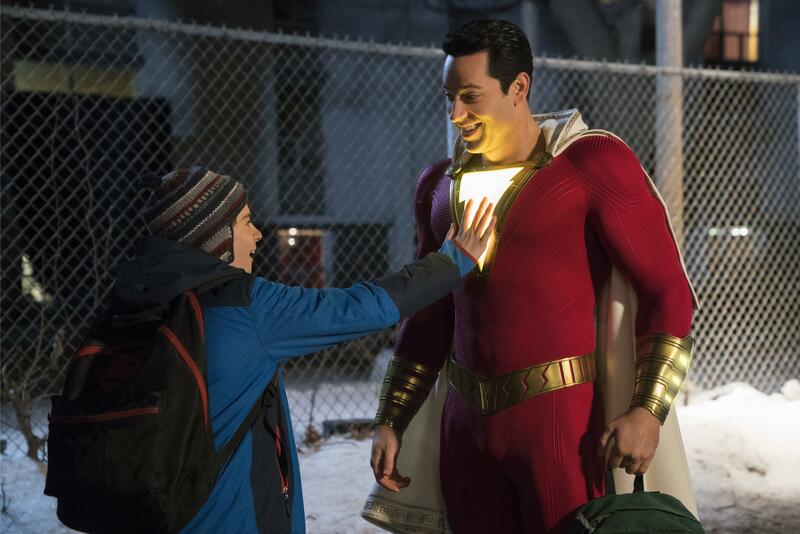 Coupled with star-making turns by Levi (who was born for this role) and Angel, plus an impressive and endearing supporting cast and solid action beats, Shazam! surpasses all expectations and is unquestionably one of the best DC Comics-based movies yet. What's the story behind Shazam!? By shouting the word "Shazam," 14-year-old foster kid Billy Batson (Angel) can turn into the adult super-hero Shazam (Levi), courtesy of an ancient wizard. Despite his new adult body and abilities, Batson decides to do what any teen would do with superpowers: have fun with them! However, he'll need the help of fellow foster kid Freddy Freeman (Grazer) to master these powers quickly in order to fight the deadly forces of evil controlled by Dr. Thaddeus Sivana (Strong). 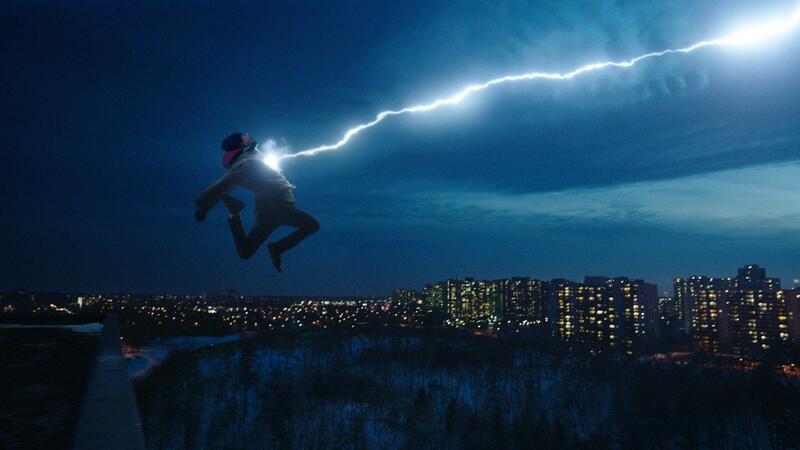 At its core, Shazam! is a sweet movie that, while handling some pretty weighty issues, manages to be joyful and optimistic. Like a mix of Big, Superman: The Movie and Sam Riami's Spider-Man series (in fact, a large portion of this movie deals with the lead character learning how it's his responsibility to properly use his power), it's funny and light-hearted when it needs to be, but that's anchored by some very personal, very relatable childhood experiences, and how those shape us as a person. The movie tackles some very complex themes, including abandonment, love, and what actually constitutes a family, and handles it admirably. As the movie plays out, not only does Batson have to deal with these magical gifts bestowed upon him, but he also has to deal with the tough hand life dealt him. He's a good-natured kid who's been treated poorly by others. His first instinct when he moves into his first foster home is to keep his distance from the other kids and plot his escape. He may come off as a little brash, but it's earned and understandable. The film treats Batson's past straight on and, save for the more fantastical elements of the story, it all feels real, as does his character arc. 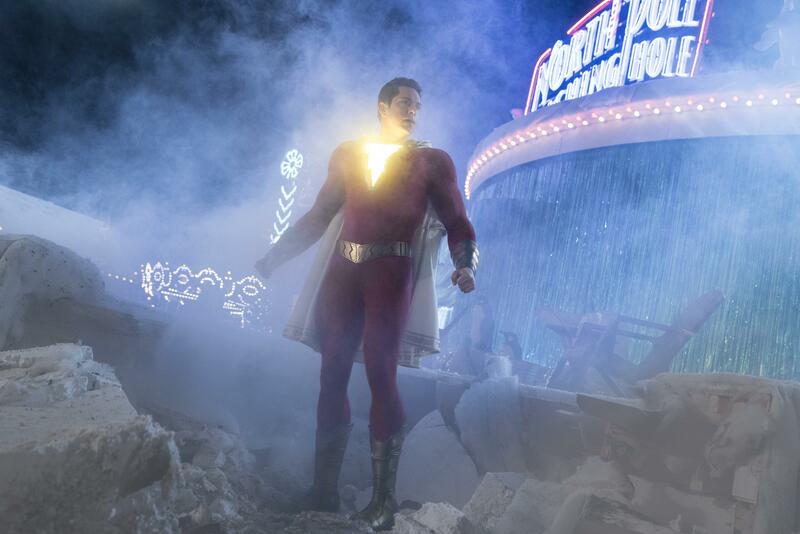 In the film's climactic battle, when he shouts "Shazam" to go save the day, it's a surprisingly emotional beat. And the same could even be said about how the film portrays Sivana, Shazam's primary antagonist in the film. In fact, these two both share differing but still equally traumatic childhood events which shape them, and it's smart approach by the filmmakers that gets us invested in both these characters. Shazam! also makes sure that the supporting cast is just as strong, specifically Batson's fellow foster kids. Grazer, as Freeman, is an utter scene-stealer. He essentially plays Batson's mentor as he learns the ropes of his abilities as Shazam. The burgeoning friendship between the two feels real, aided by Freeman's undeniable enthusiasm of finding himself - a huge superhero fanboy - coaching Baston's four-color persona. Another stand-out character is Darla, one of the younger foster kids. She is absolutely adorable and gets some of the film's biggest laughs and applause-worthy moments as the film heads into the climax. In fact, Batson's entire foster family is portrayed in a refreshingly positive manner, a welcome change from the troubled depiction that movies tend to unfortunately lean on. These are good people and they have each other's back, and that helps sell some of movie's big themes and is legitimately heartwarming. Our investment in these characters carries over to the film's superheroics, as well. 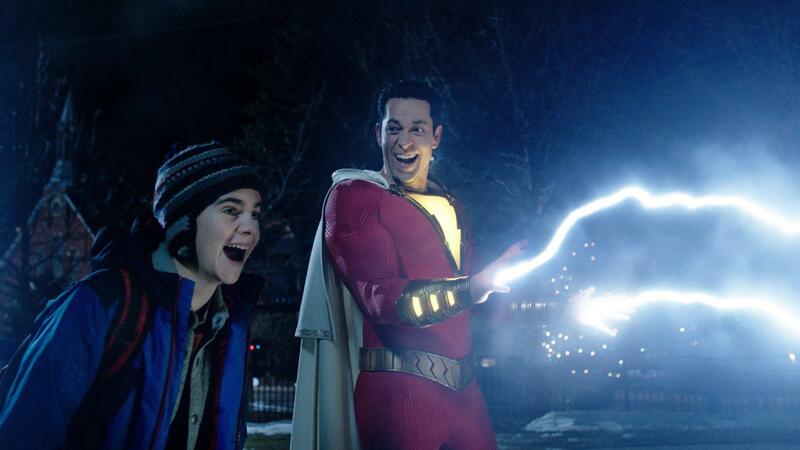 Levi is perfectly cast as Shazam, and is able to make the far-fetched premise completely believable. He sells it, through and through, whether it's him learning and effectively using his powers or just trying to figure out just what is going on and adapting to his new reality. He is utterly convincing as the 14-year-old Batson ("almost 15," he says) trapped in a magically buff body. Levi is so spot-on here that it's hard to imagine any other actor in the role. He just nails it. His chemistry with the cast is excellent, especially with Grazer. They make a fantastic duo. In fact, Shazam! gets an extra kick of adrenaline when Batson rushes to Freeman to help him figure out "this caped crusader stuff." It's undeniably fun. Shazam! does stumble slightly in a couple of regards, first being, after a tense cold open, the film does take a little bit to really hit its groove. 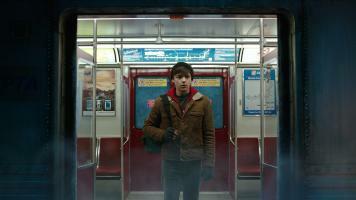 The pace is a little slow, but that's understandable given that the movie is trying to establish its world. However, the great work by the cast and Batson's compelling story keeps things entertaining until the soon-to-be-hero finds himself in the presence of a wizard shortly after he meets his new foster family. 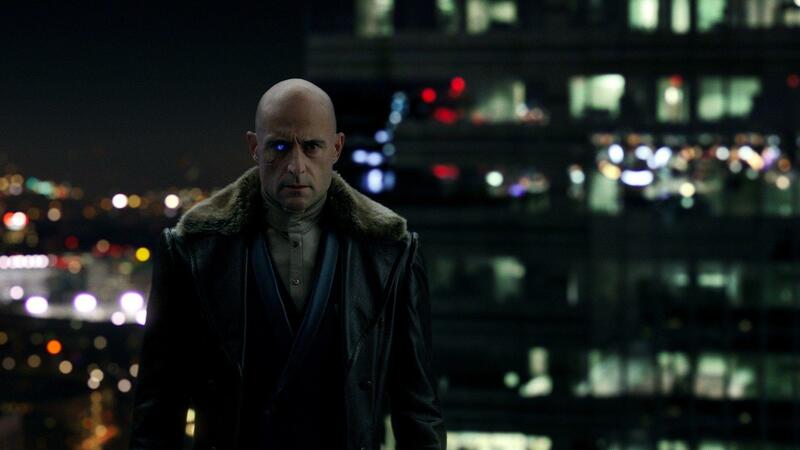 Second, Sivana, the film's antagonist, doesn't get the same development as some of the other character's in the film, but what we get is interesting and just enough to make him a notable and formidable first foe for the Big Red Cheese. Aside from that, Shazam! still manages to keep a firm, confident footing. It's remarkable how assertive the film is in what it wants to do, and it pulls it off with barely a hitch. With a relatively small budget of $90 million dollars, the scale of the film might not be as massive as most comic book movies, but Shazam! makes that's a strength. The characters are front and center and are never bogged down by an overwhelming amount of distracting special effects work. In fact, the CGI work here is quite restrained and never gaudy. The action scenes aren't cluttered, but clear and nicely choreographed, with any CGI elements convincingly integrated with the live-action component. And all through this is a pretty excellent score by Benjamin Wallfisch, who manages to come up with some solid heroic and upbeat themes which serve both the action scenes and the quieter moments nicely. 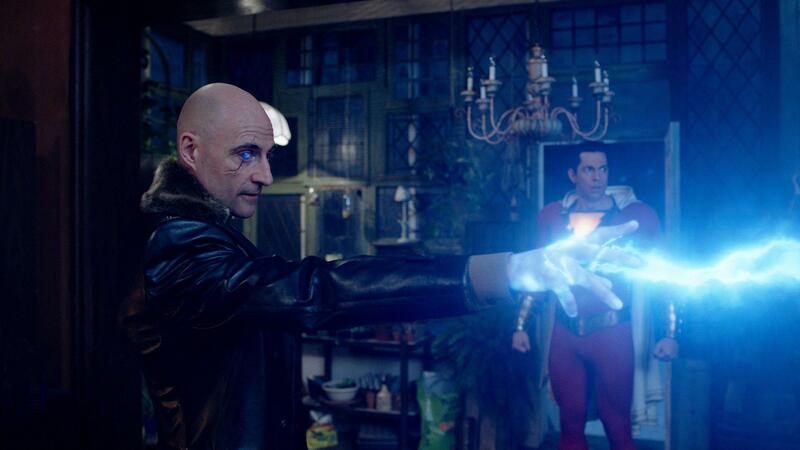 Interestingly, Shazam! clearly takes place in the cinematic universe established by Man of Steel and features plenty of references to this larger world. Batman, Superman and Aquaman get pretty explicit shout-outs, for example, with a couple heroes actually playing big (albeit in-direct) roles in some key moments of the film. These references never feel excessive and are a nice reminder of the many different great characters which inhabit this universe. And if we're going to start getting more movies like Shazam! set in this continuity, then its future is looking mighty bright and exciting. Shazam! 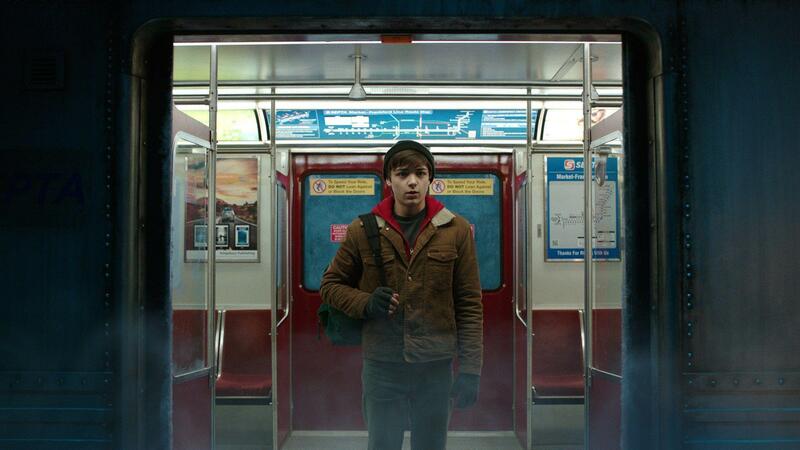 is definitely not your typical superhero movie, and that's one of its strengths. It's got action and comedy, yes, but it's all anchored by a deep and heartfelt story. It's easy to see how this movie could've gone the dark and gritty route, and there's ample ammunition for that, but it instead leans in one how there is light at the end of the tunnel, that good things are coming when we persevere through the bad. 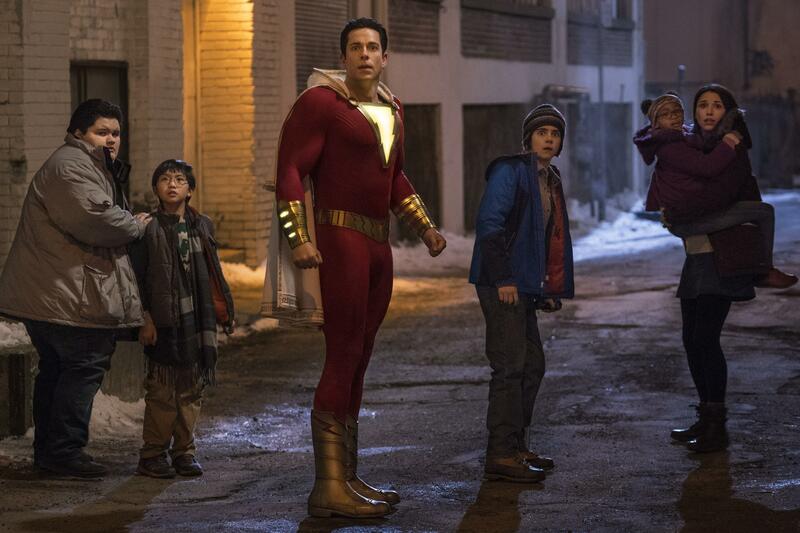 Going dark might work for some characters, but not for Shazam or for the story this film is telling. Shazam! is the story of a young man trying to decide what he wants to be. And even after making a few mistakes as he tries to figure out his new normal, he ultimately chooses to embrace the positive and be a good person instead of wallowing in the dark. You want Batson to do the right thing, and you'll cheer when he does. With a knock-out cast, a great story and solid action scenes, Shazam! will certainly be a crowdpleaser. It's such a fun romp and there's so much about it to enjoy. 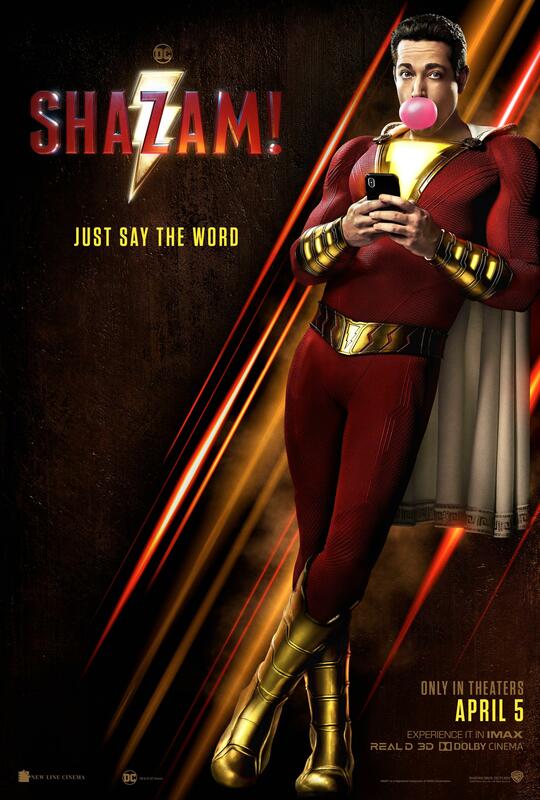 Following on the heels of Wonder Woman and Aquaman, Shazam! is another major success for Warner Bros. and DC Comics, and it'll be interesting to see where this franchise goes in the future. Given some of the major surprises the film unpacks in the third act, moviegoers will definitely want to see a sequel. With its great cast and story, coupled with its positive and heartfelt themes, it's a total winner across the board. Shazam! is a guaranteed great time and quite possibly the perfect comic book movie for the family! Must See!